Have you ever been involved in a motorcycle accident? If your answer is in the affirmative, then there’s no telling the aftermath of the incident. You most certainly dragged through the following few weeks in pains and trauma and you may still have some scars from the accident. But were you well compensated? Maybe you think you were not well compensated but you shouldn’t allow you or your loved one(s) go down that route again.A well-trained and talented motorcycle accident attorney can ensure that you have a full settlement to your accident claims. To get one, you can get in touch with Rawa Law Group. The agency is a 5-star legal company that prides itself on its relentless advocacy for the injured. When you contact us at Rawa Law Group, you should be aware that you are obtaining the services of some of the best injury attorneys in the whole of California and as such should expect the best results. Our experienced attorneys provide you with every detail that you want as per your case and we also allow for flexible appointments whether at our office, your house or the hospital where you are being treated. We also do not collect any payment of any sort until your case has been won. 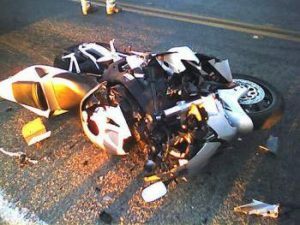 Our talented motorcycle accident attorneys in West Covina have helped injured clients in the recovery of hundreds of millions in the past and your case cannot be different because we have amassed more than 20 years of experience in this business.